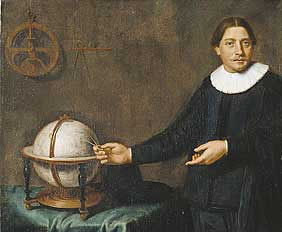 Abel Tasman was the first European explorer to reach the islands of Van Diemen”s Land (now Tasmania) and New Zealand. In 1642 the Governor-General of the Dutch East Indies, Anthony Van Diemen sent Tasman on an expedition to explore and map out New Holland, where a lot of Dutch ships had become shipwrecked due to the Roaring Forties winds. He was ordered to see how far south New Holland reached and sailed south and then east. Although Tasman did not find the continent of Australia, he did come across the island of Tasmania, (landing at Frederick Henry Bay, named after the Chief Magistrate of the Netherlands) on the 24th November 1642. He named the island Van Diemen’s Land in honour of, the Dutch governor general. Tasman claimed the island for Holland by leaving the Dutch flag and a pole with the Dutch East Indies markings on it. Tasman mapped the coast of Van Diemen’s Land before continuing east crossing what is now called the Tasman Sea and discovered both islands of New Zealand before returning to the East Indies. His voyage proved that Australia was not part of a great south continent that stretched all the way to the South Pole. Following his expedition, Australia was referred to as New Holland instead of Terra Australis or Zuid Landt (South Land) to recognise that the Dutch had claimed the land. Upon Tasman’s return from his first voyage of New Holland1642, the Governor-General was not pleased since they did not find gold or any land that was considered wealthy or any trading opportunities. In 1644 Van Diemen again sent Tasman on another voyage. This time he was to find whether New Guinea was joined to the south land and so he started from the north coast of New Holland and was supposed to sail down its east coast through the reefs of Torres Strait, but couldn’t get through the reefs. Instead he sailed west and charted the Gulf of Carpentaria, then continued sailing west hoping to cut through the centre of New Holland at any time but of course was not possible. He continued sailing up to eight thousand kilometres of coastline all along the northern half of Western Australia before returning to Batavia. Tasman’s voyages were the last significant efforts made by the Dutch to chart New Holland and by the end of the 1600s no further voyages were made. The reports made by the Dutch that there was no opportunities for trade made other countries disinterested in the land also. In the next 100 years many European countries became engaged in wars and Australia was not visited.